Survey Department Profile | Adobe Associates, Inc.
Adobe Associates, Inc. has provided Land Surveying and Civil Engineering services to both private and public sectors since its founding in 1982. Our firm has grown and developed the necessary talent to handle almost any type of project including any size, small or large. We have the ability to manage the workflow and deliver our services on time. Our firm has grown from a garage in Petaluma with a theodolite and electronic distance measure to now – a large office building in Santa Rosa with state of the art technology such as Drones and GPS! Our survey department utilizes a wide variety of tools to get the job done. Each project may require the special care and thoughtful planning that may use one, or a combination, of these tools. Our tools consist of Total Stations, Robotic Instruments, GPS, Drones, and more. We also realize, due to the size of many of our projects, getting around a project site can be time consuming so we utilize large F-150 4WD trucks, to smaller 4WD trucks and even a pair of ATV’s. As new technologies emerge we pride ourselves in staying ahead of the curve so our clients and projects can maximize their benefit. We regularly set GPS coordinates and Drone a site so our clients can review real time site conditions. The aerial mapping through our drones is ortho rectified meaning they accurately measure utilizing scales – which is great for clients near and far. Now, instead of spending thousands or tens of thousands they are spending a fraction of the cost with deliverables in days. Since our founding in 1982 we have been committed to our clients, their needs, and “A Service You Can Count On”. Together with honest assessments of projects and the work of our reliable and competent staff, we ensure the work we do and coordinate is done professionally. We pride ourselves in complete and thorough work and smooth coordination with public agencies. We realize that in order for projects to start and end on time we need the collaboration and respect of the agencies that process our projects. The approach we take to working with the public agencies is to provide complete and well thought out submittals to help reduce the time it takes to obtain permits, clearances, and approvals. We attend public outreach meetings, staff meetings with the agencies, public hearings, council meetings, and other such functions. This allows us the opportunity to assist our clients in understanding the project in its entirety by providing the necessary professional consultation. For our clients, we meet and discuss in detail the steps and logistics for their project so they too, understand the complexities before they undertake their project. We enjoy the open and honest dialogue with our clients and partners and encourage feedback. It is paramount to understand the end results with clarity so we can help navigate the best possible solutions for ALL of our clients. Our business is based on repeat and referral from existing and past clients. Through this system we have found that our clients enjoy working with us and appreciate our professionalism. 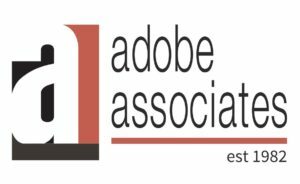 Now that you have decided to work with one of the best Land Surveying and Civil Engineering firms in the North Bay, we would like to say, Welcome to the Adobe Family!